The largest, most diverse, multi-million dollar display of collectibles in Southern California history is planned for the Long Beach Coin, Stamp & Sports Collectible Expo (www.LongBeachExpo.com), February 7 – 9, 2013, in the Long Beach, California Convention Center at 100 S. Pine Ave.
Exhibits will include the famous Walton 1913 Liberty Head nickel; the finest current set of United States large cents; a $5 million display of high-denomination 19th century U.S. bank notes; and rare 1909-era T206 Honus Wagner baseball cards, the most valuable cards in the world. A limited quantity of five-ounce silver Panda medals specially struck for the Long Beach Expo by an official mint of the People’s Bank of China will be available at the show. Also, autograph guests are returning to the Long Beach Expo for the first time in a decade with appearances scheduled by Basketball Hall of Fame stars Magic Johnson and Jerry West and famous jockey Laffit Pincay, Jr.
"The renowned 1913 Liberty nickel was recovered from the 1962 car crash that killed its owner, George O. Walton, and was then unsuspectingly stored in the closet of a Virginia house for four decades after the coin was mistakenly declared a fake. 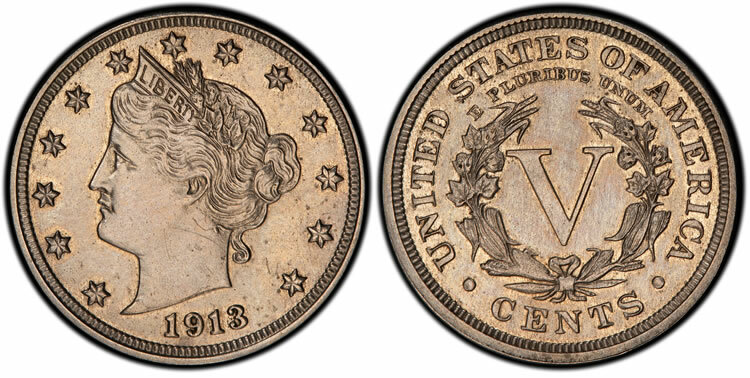 It’s truly one of the most fascinating coins in the history of U.S. coinage, and it’s now been authenticated and graded PCGS Secure PF63," said Long Beach Expo President Cassi East. "This will be the first time the Walton 1913 Liberty nickel will be displayed at the Long Beach Expo, and it’s courtesy of Heritage Auctions which will be offering the coin on behalf of Walton’s heirs in an auction in April." Heritage, the official auctioneer of the Long Beach Expo, will conduct a public auction of $10 million of U.S. and world coins in conjunction with the February show. Another first for the upcoming Long Beach Expo are specially-made silver Panda medals. 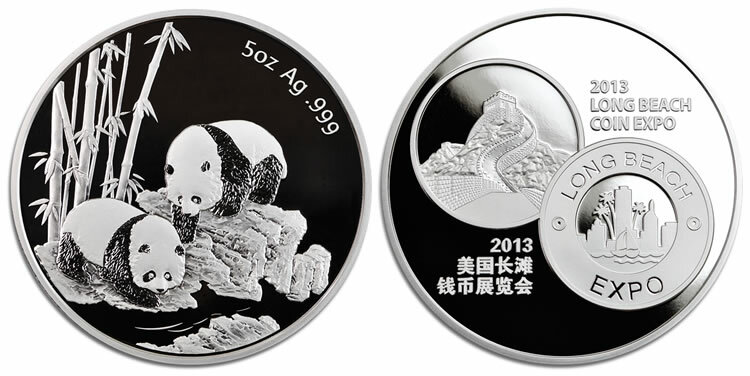 The Shen Zhen Guobao Mint, an official mint under the People’s Bank of China, has struck .999 fine silver five-ounce commemorative Panda medals in conjunction with the show. The mintage is only 2,500, and they will be offered for sale in specially-produced holders while quantities last. A drawing also will be held each day of the show to give away a medal to a lucky, registered visitor. 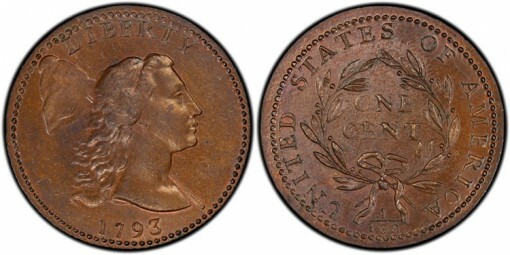 More than 130 superb-quality U.S. large cents from the High Desert Collection will be publicly exhibited for the first time in California during the February Long Beach Expo. With the dispersal of the Cardinal Collection, the High Desert coins become the number one set of basic U.S. large cents in the PCGS Set Registry™. "The High Desert set is 100 percent complete and includes three dozen large cents that are the finest-known or tied for finest-known in the PCGS Population Report. The set has a weighted grade point average of 61.650," said BJ Searls, PCGS Set Registry Program Manager. Three of the most valuable United States bank notes with a combined value of $5 million or more will be displayed on behalf of an anonymous collector by Miami, Florida dealer Sergio Sanchez. The notes are one of the five known Series 1880 $500 Silver Certificate of Deposit notes (Friedberg #345c); one of the five known 1880 $1,000 Silver Certificate notes (Fr. 346d); and one of only two known 1891 $1,000 Silver Certificate of Deposit notes (Fr. 346e). Visitors to the show can have their coins personally examined by PCGS Co-Founder David Hall during Meet the Expert times at the PCGS booth (#807) on Thursday and Friday. PCGS also will offer a new five-hour "Coin Grading 101" class on Saturday morning and afternoon led by Mike Sherman and other members of the PCGS team. Lunch is included in the program. Advance registration is required by contacting PCGS Customer Service. Autograph collectors and sports fans can meet former Los Angeles Lakers stars Jerry West and Earvin "Magic" Johnson, now a co-owner of the Los Angeles Dodgers, when they sign autographs on Saturday, February 9. Laffit Pincay Jr., one of the world’s top jockeys and a member of the National Museum of Racing and Hall of Fame, will also sign autographs on Saturday. The Long Beach Coin, Stamp & Sports Collectible Expo will be open to the public Thursday and Friday, February 7 and 8, 2013, from 10 a.m. to 7 p.m., and Saturday, February 9, from 10 a.m. to 5 p.m.
Public admission is $8 (good for all three days); $6 for members of any coin or stamp club; $4 for seniors 65 and older and for children ages 8 to 16. Free admission is available for PCGS and PSA Collectors Club members, PCGS, PSA and PSE Set Registry™ participants, PCGS CoinFacts™ members, PSA and PCGS Authorized Dealers and children ages 7 and younger. More admission discount information and a Schedule of Events are available online at www.LongBeachExpo.com. For additional information about the show or to pre-purchase autograph tickets, contact Cassi East by phone at (888) 743-9316 or email at info@LongBeachExpo.com. During the show, call (562) 499-7455. 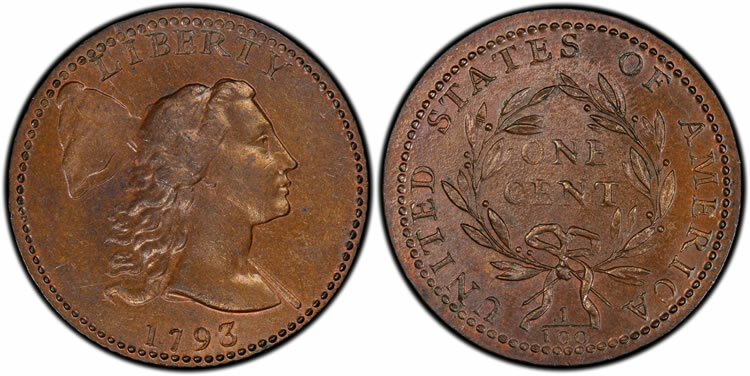 For additional information about the auction of the Walton nickel, contact Heritage Auctions at (800) 872-6467. The appearance of Magic Johnson at the Long Beach Expo is courtesy of Prince Marketing Group.